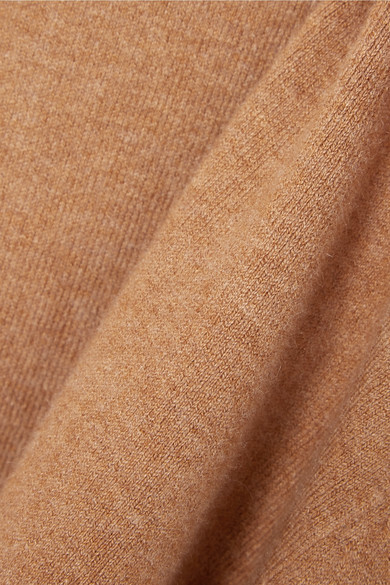 JoosTricot's turtleneck sweater is made from the label's signature 'peach skin' fabric and has a close, second skin fit. 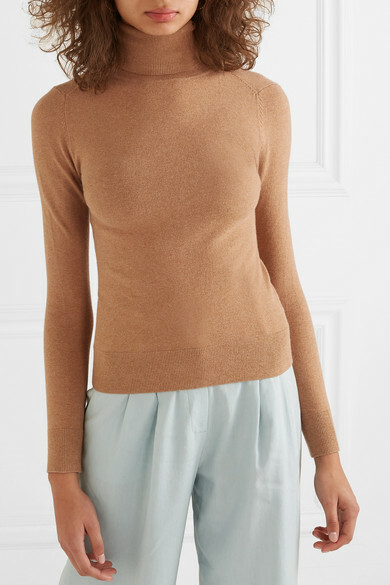 Knitted with touches of cotton, stretch and silk, this camel style is perfect for transitioning through the seasons and tucks effortlessly into jeans, track pants and flowy skirts. 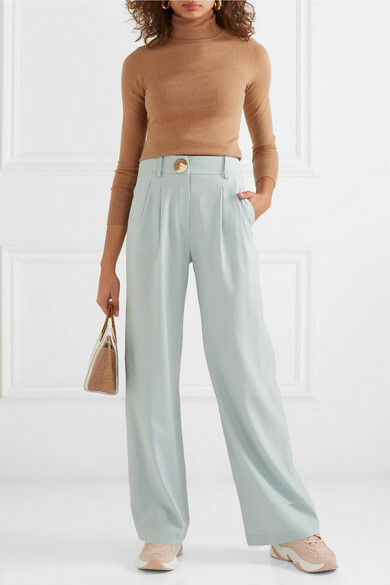 Shown here with: REJINA PYO Pants, STAUD Tote, Nike Sneakers, Ellery Earrings.